Step 1 Heat the oven to 350 degrees. Wrap the beets in aluminum foil and bake them for one hour. Unwrap them, cool slightly and peel. Slice the beets thin on a mandoline. Place them in a medium bowl and set aside. Step 2 To make the dressing, pour the blood orange juice into a small bowl, add the salt and pepper and whisk. Slowly whisk in the olive oil in a stream. Step 3Dress the beets with 1 to 2 tablespoons of the dressing; toss gently to combine. Step 4In a large bowl, toss the baby greens with 1 to 2 tablespoons of dressing. Step 5Divide the beets into four portions. Make several small piles of beets on each of four plates. Top each pile of beets with one-fourth of the salad greens. Divide the burrata into 4 portions, cutting it in half or quarters as necessary. Place one portion atop each salad. In Recipes-list.com we have selected the most viewed recipes from category - Appetizers Salads Vegetarian . Enjoy the best recipes specially selected for you! 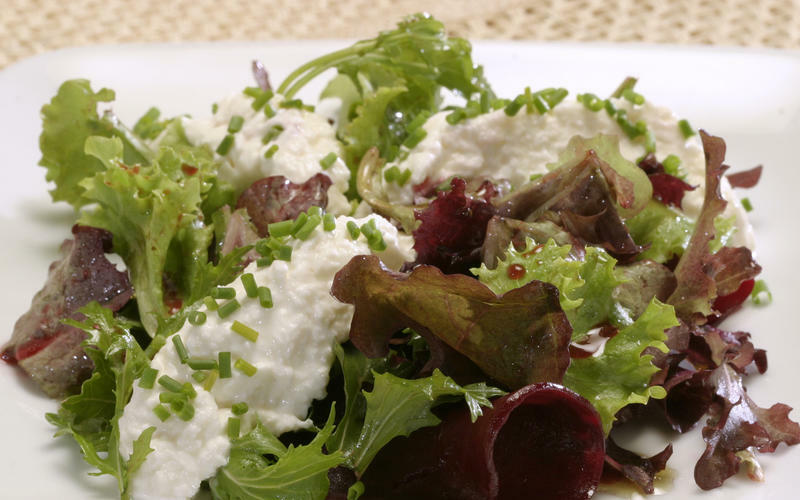 Angelini beet salad is the right choice that will satisfy all your claims.